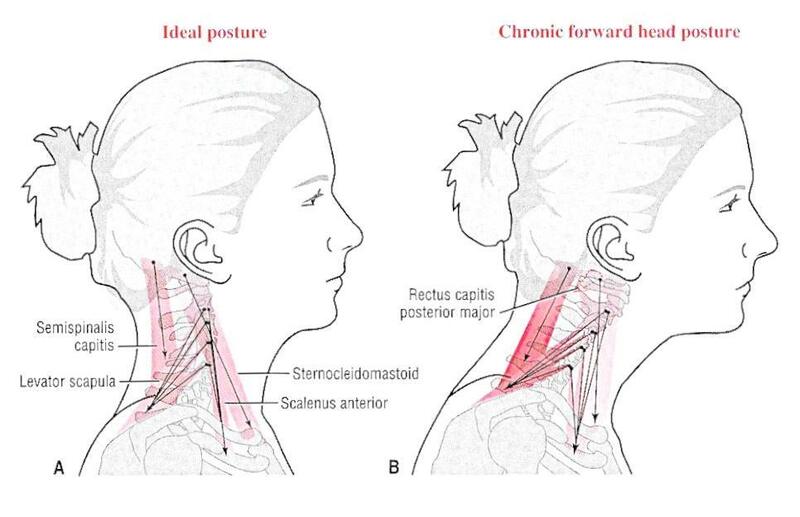 OBJECTIVE: The purpose of this review was to explore the association between forward head posture, rounded shoulders, and increased thoracic kyphosis. METHODS: The PubMed, ERIC, and Cochrane databases were searched using the key words posture, head, shoulder, forward scapular posture, and thoracic kyphosis through December 2016. RESULTS: Our initial search yielded 6,840 research studies, 6,769 of which were excluded because they either were duplicates or did not satisfy the inclusion criteria. After the abstracts of the remaining studies were read, 15 were assessed for eligibility, and only 4 papers were included in the present review. Cervical lordosis values were found to be significantly associated with thoracic kyphosis values. Also, there were significant correlations between rounded shoulders and increased thoracic kyphosis. CONCLUSION: Forward head posture, rounded shoulders, and increased thoracic kyphosis can exist alone or in any combination. Various occupations require people to assume static postures for long periods, which causes continuous contractions of the head and neck muscles. [1, 2] The head constitutes 6% of the total body weight, which is linked to the cervical spine and all other joints through the kinematic chain  by various muscles.